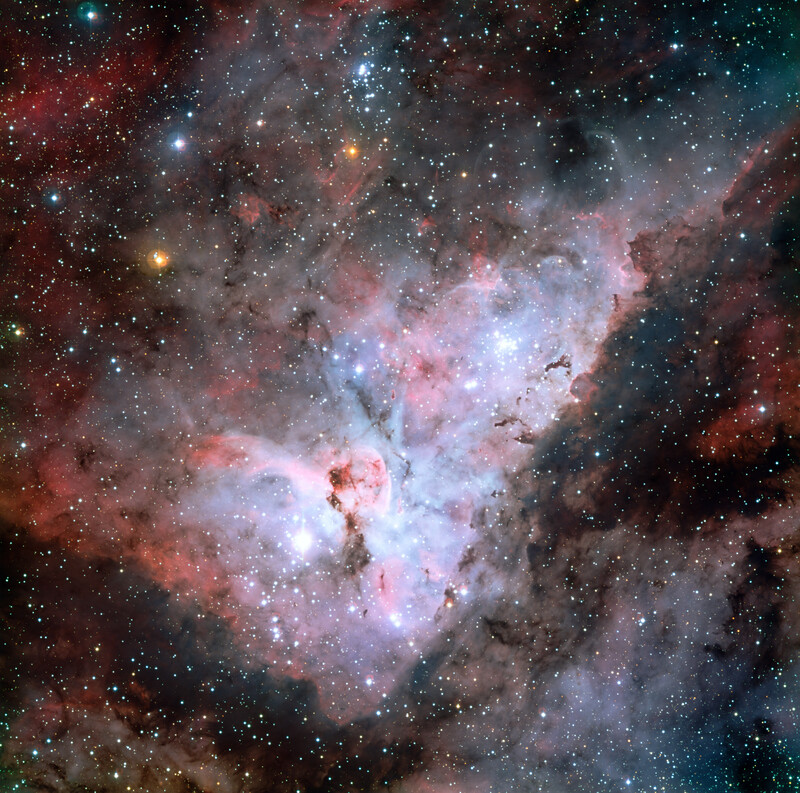 Colour-composite image of the Carina Nebula, revealing exquisite details in the stars and dust of the region. Several well known astronomical objects can be seen in this wide field image : to the bottom left of the image is one of the most impressive binary stars in the Universe, Eta Carinae, with the famous Keyhole Nebula just adjacent to the star. 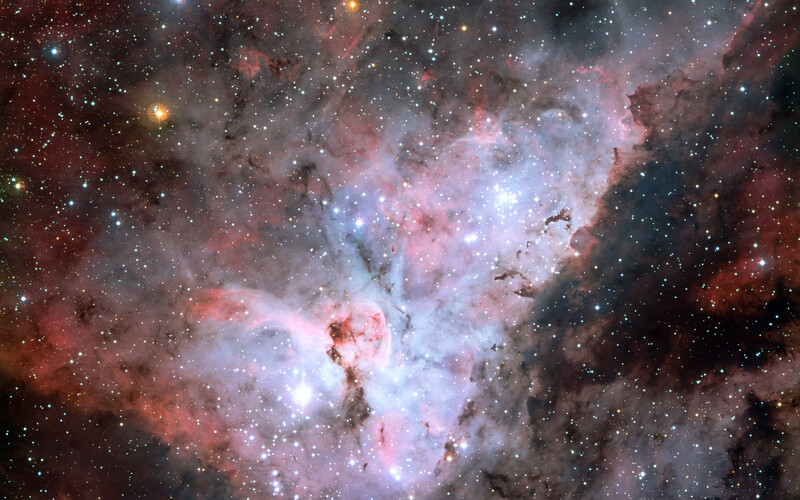 The collection of very bright, young stars above and to the right of Eta Carinae is the open star cluster Trumpler 14. 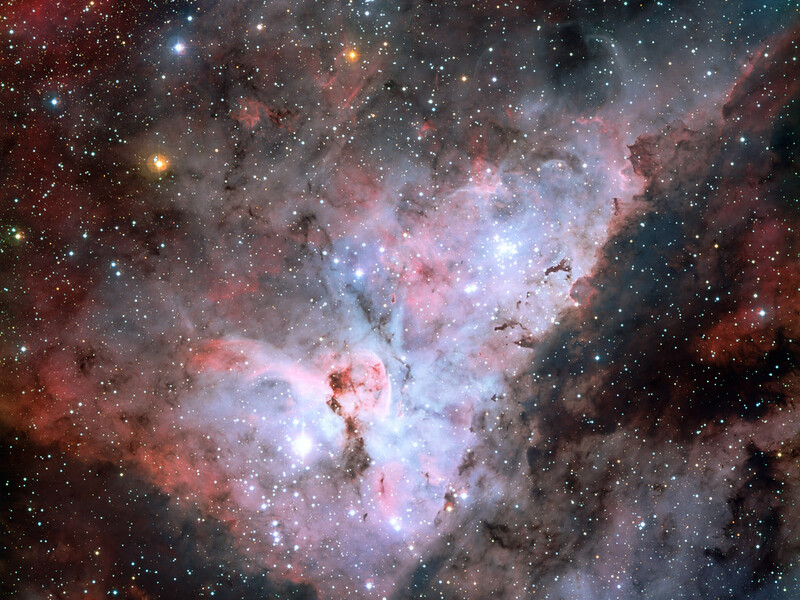 A second open star cluster, Collinder 228 is also seen in the image, just below Eta Carinae. The Carina Nebula also bears the NGC 3372 designation. On this image, North is up and East is to the left. The field of view is 0.55 x 0.55 degrees, covering a 72 x 72 light-year region at the distance of the nebula. Position (Dec): -59° 41' 4.63"